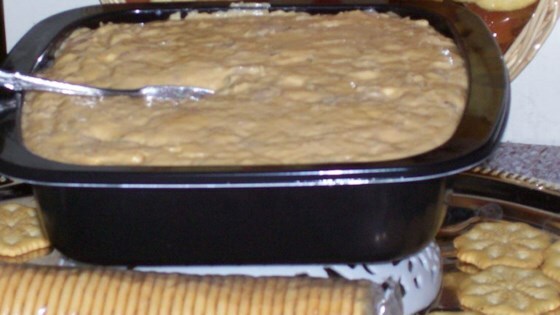 "Easy to make, this tasty tuna and cheese dip goes well with flavored crackers or chips." In a medium-sized mixing bowl, combine tuna, mayonnaise, butter and melted cheese. Let dip cool. Stir before serving. This is very delicious! It's great for tailgate parties. Simple and tasty. It was an easy recipe to get rid of my extra Velveeta. Such a simple idea, but I needed something to go with some crackers and this was super good. I didn't add the butter and don't think it was needed. I liked it and its cheep to make. Also good hot... I was to hungry wait for it to cool. This recipe was VERY easy to make and perfect when trying to figure out what to do with things you have on hand. It's good a little bit warm - goes well with veggies, too.